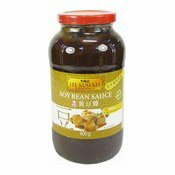 An aromatic savoury sauce of complex flavours. 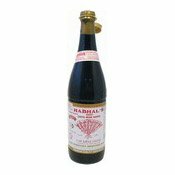 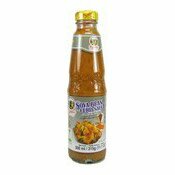 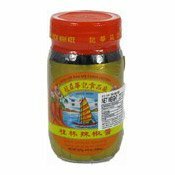 Use as base sauce for Zha Jiang Mian, and for stir-frying, stewing, dipping and marinating meat. 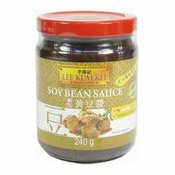 Ingredients: Water, Soybeans (27%), Sugar, Salt, Wheat Flour, Acid (Lactic Acid), Modified Corn Starch, Colour (Plain Caramel), Stabiliser (Xanthan Gum (Soybeans, Wheat)), Flavour Enhancers (Disodium Inosinate, Disodium Guanylate). 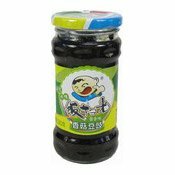 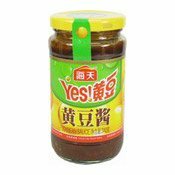 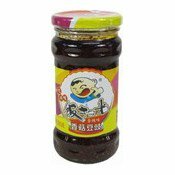 Simply enter your details below and we will send you an e-mail when “Soy Bean Sauce (Yellow Bean Paste) (李錦記黃豆醬)” is back in stock!